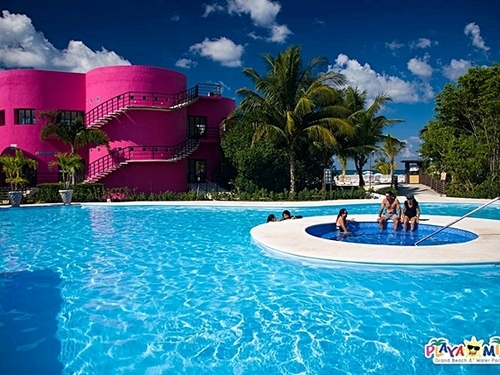 Playa Mia Deluxe, the Largest Beach Club Facilities in Cozumel! Save 20% off the deposit today - use coupon code PROM248 on your order form! 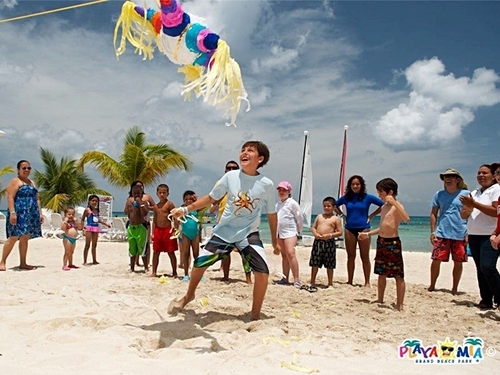 Enjoy the latest All Inclusive Beach Break in Cozumel at famous Playa Mia Grand Beach Park! 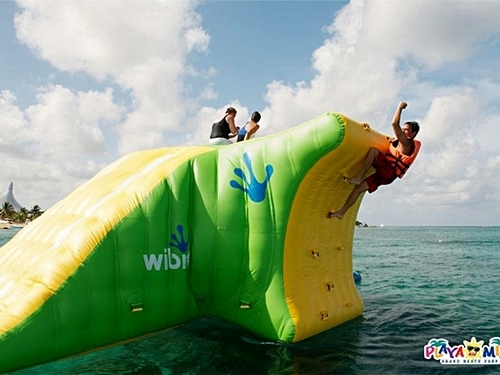 Our Cozumel Playa Mia Beach Club Day Pass Excursion! 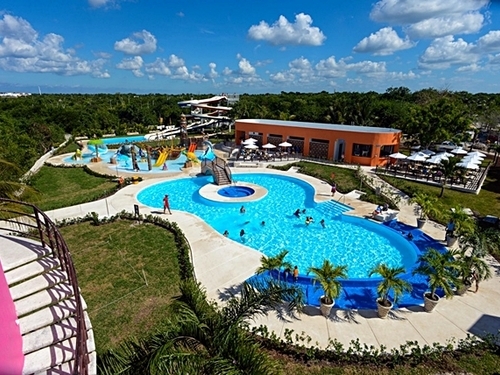 Playa Mia Cozumel has long been available exclusively through the cruise lines such as Cozumel Shore Excursions with Carnival and Royal Caribbean but Playa Mia just now opened their doors to our clients as well. 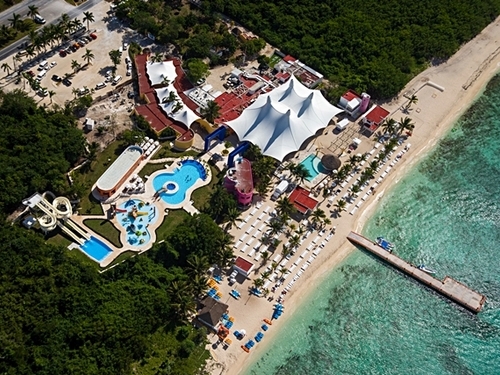 Playa Mia Beach Club is the largest and most complete all-inclusive beach club in Cozumel with literally something for everyone! 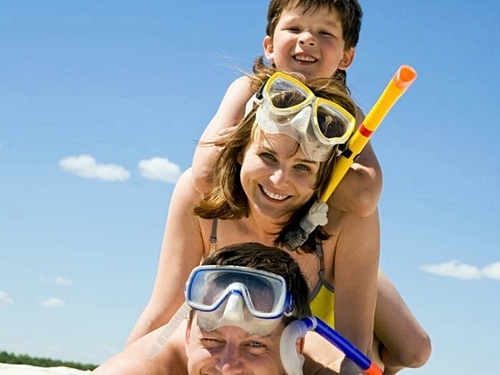 Safe, fun and great for the whole family. 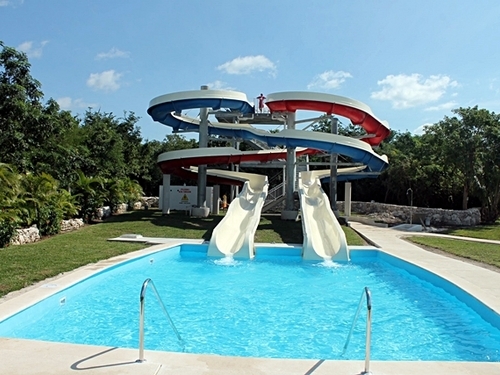 Playa Mia offers unique amenities and features such as the enormous floating water park with climbing bergs, trampolines, etc., area for the adults with hydro pool to relax, the one and only 200' long twin pool slides in Cozumel, Pirate Bay special kids swimming pool area with fountains, slides and lots of fun stuff, snorkeling area (gear for rent), shaded shopping area, buffet style lunch, bars and MUCH more (see below). Now also available, Jet Ski / Waverunner at Playa Mia! 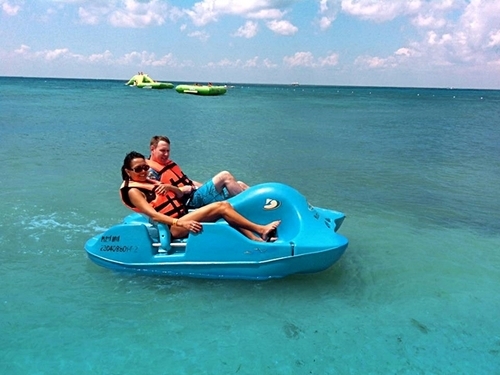 See pricing list for booking your Jet Ski at Playa Mia Cozumel! 1. 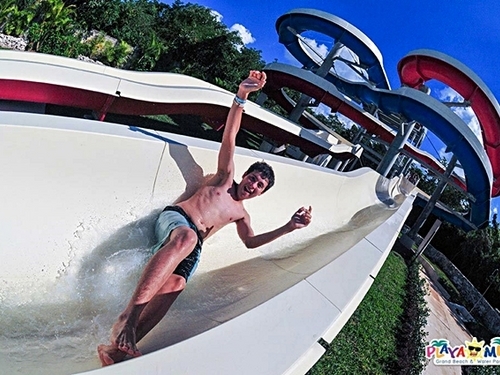 Day Pass: including admission and use of all amenities, activities, etc at Playa Mia. 2. Day Pass and Buffet: All the above plus all you can eat from the Playa Mia Buffet (see menu example below including Kid Options!) and flavored water (no other beverages included). 3. 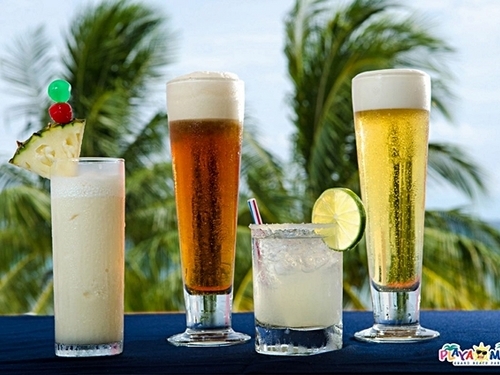 Day Pass, Buffet and Open Bar: All the above plus open bar all you can drink with alcoholic and non-alcoholic drinks (also called Deluxe Beach Break - see bar menu below). 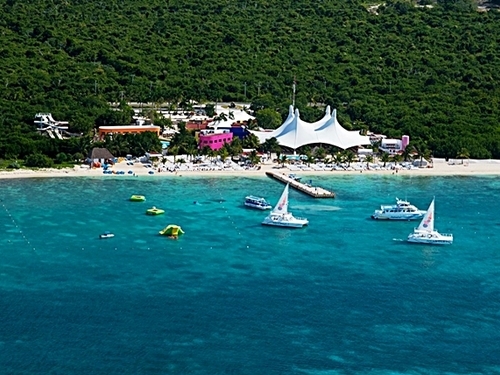 Enjoy an all-inclusive day pass at one of the most complete beach clubs in Cozumel, Mexico, the famous Playa Mia! 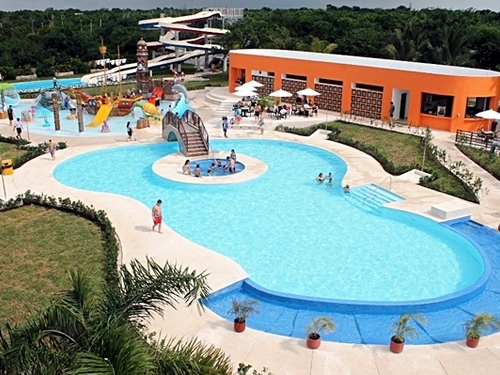 Playa Mia Beach Park Attractions:Restaurant, Bars, Beach, Cantina Pool, Twin Pool Slides (largest in Cozumel), Oasis Pool with Hydro Massages, Kids Pool, Floating Water Park (Ocean), Underwater Mayan City, Shaded Shopping Area, Beach Volleyball. Kids Games, Showers, Dressing Rooms and Toilets, Lifesaving Service and Supervision, Rescue Boat, Centre for First Aid and Paramedic, Wi-Fi Internet (at the coffee shop), Loungers, Hobie Cat Sailboats, Kayaks, Pedal Boats, Water Tricycles, Floating Mats and Innertubes, Bungee Trampoline, Ping Pong, Snorkeling Gear (additional cost-see notes). Mixed Salads, Caesar salad, Italian Vinaigrette Dressing, Thousand Islands Dressing, Tropical Fruit, Fruit Cocktail, Pico de Gallo (Mexican Sauce), Jalapeno Peppers, Red Sauce, Sour Cream, Croutons, Pasta Salad, Parmesan Cheese, Raw veggies. BBQ Ribs, Fish Fillet Cajun style, Cochinita Pibil (Yucatan Style Marinate Pork), Roasted Chicken, Beef Fajitas, Ham with Roasted Pineapple, Hot Dogs, Crispy Tacos, Chicken Chilaquiles. Mexican Rice, Mashed Potatoes, Refried Beans, Bread, Chips, Macaroni and Cheese, Steamed Vegetables, French Fries. Gelatin, Assorted Cookies, Ice Cream (3 flavors). Purified bottled water, Flavored Waters, Juices, Sodas, Draft Beer, Tequila, Mezcal, Brandy, Rum, Vodka, Margarita, Pina Colada, Rum Punch, Daiquiri (different flavors), House Wines, Coffee. Round Trip Transfers: Please note that Playa Mia Beach Club is now offering round-trip transportation from meeting points close to the cruise ship piers in Cozumel. Pick-up time is one hour after ship arrival. 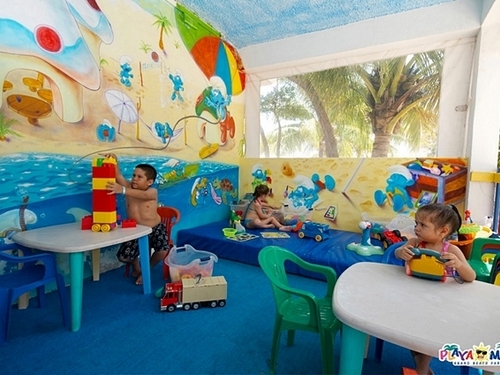 The cost of $13.00 is a per person cost and the time at Playa Mia Beach limited to 4.5 hours (approx. 5 hrs including transport time). While this option offers some savings to 1 person and 2 person bookings, parties of 3 people and up are saving money by simply taking one of the many taxis (without time limit at Playa Mia) at a cost of approximately $16.00 for a taxi of 4 people each way. 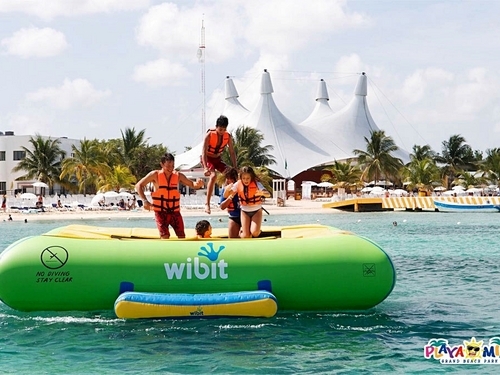 Starting November 1, 2014, Playa Mia Beach Club will offer round-trip transportation at additional cost, from meeting points close to the cruise ship piers in Cozumel (see option of including transportation in the shopping cart). Pick-up times from 08:00 AM to 12:00 PM. Return times from Playa Mia from 12:00 AM to 06:00 PM. Guests will get to stay as long as they wish! 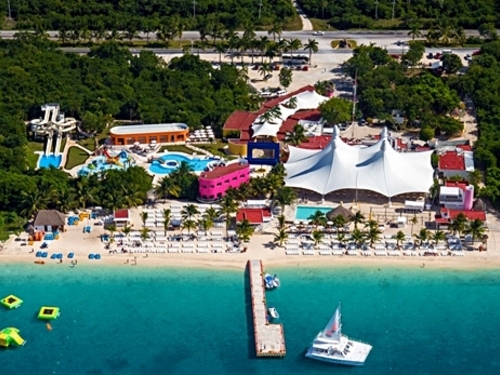 For the Cozumel Playa Mia Beach Club Day Pass Beach Break we meet directly at Playa Mia Grand Beach Park which is a 8 minute taxi ride from the Puerta Maya and the International pier or a 15 minute taxi ride from Punta Langosta downtown pier. There are plenty of taxis available at the cruise terminals as well as at the beach club for your return. All details will be printed on your Electronic Playa Mia Excursion Ticket. For guests purchasing the transportation, meeting instructions will be explained on the E-Ticket. Meeting time is one hour after your ship's arrival. Day Pass: Access to all facilities, services, attractions, amenities, etc. 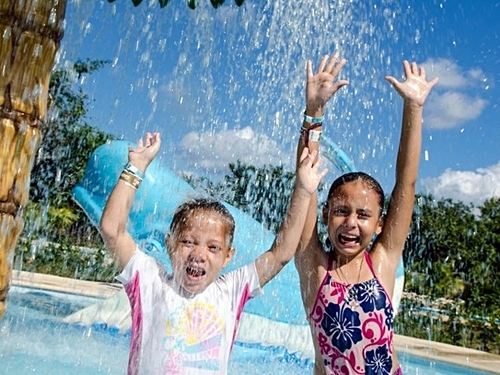 Day Pass w/ Buffet: Access to all facilities, services, attractions, amenities, etc. and international buffet with flavored water included (no other beverages). Day Pass w/ Buffet w/ Open Bar: Access to all facilities, services, attractions, amenities, etc. 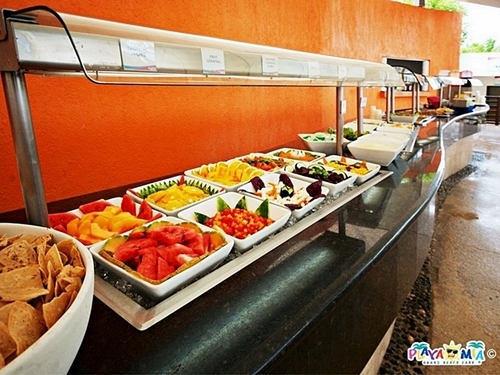 and international buffet and open bar (alcoholic and non-alcoholic beverages). Lockers, umbrellas, and towels are available for $6.00 USD deposit and $6.00 USD charge. Deposit is given back when key/item is returned. 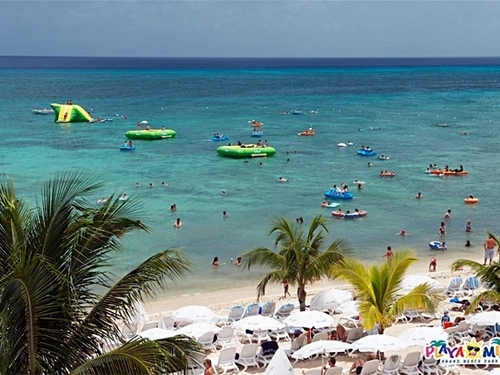 Playa Mia is open from 09:00 AM to 05:00 PM local Cozumel time. You are free to come and go at any time. 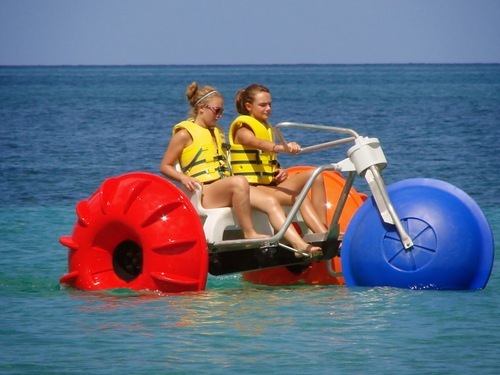 Free use of the water tricycles, paddle boats, kayaks, ping pong tables, beach volleyball, etc. 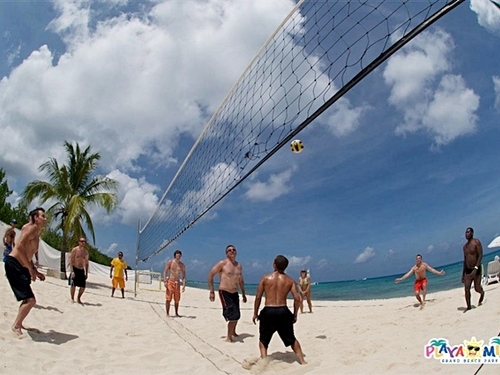 Beachside games hosted by Playa Mia staff. Hamburgers, as well as other a la carte items, are available at an additional cost. 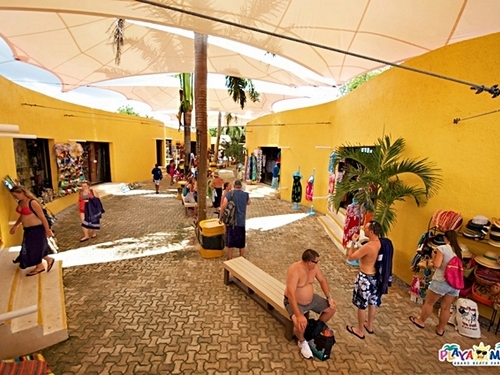 Additional items/services are available at additional charge: lockers, umbrellas, towels, hair braiding, food and drinks off the menu (if applicable), international buffet (if applicable), massages, photos with macaws and iguanas, snorkeling, shopping (handcrafts, clothing, souvenirs, jewelry, cigars, beach gear and more). Lockers can be rented for $4.00 USD per locker (plus $4.00 USD key deposit). Umbrellas and beach towels are available for rent for $4.00 USD per plus $4.00 USD deposit. 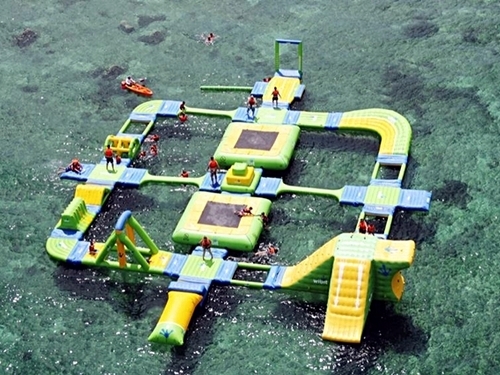 Snorkel equipment is available for rent at $16.00 USD. Round-trip transportation can be added as an option. Please see notes in description and pricing details. Infants under age 3 do not pay transfer cost. There are sand/beach wheelchairs available at the beach club. 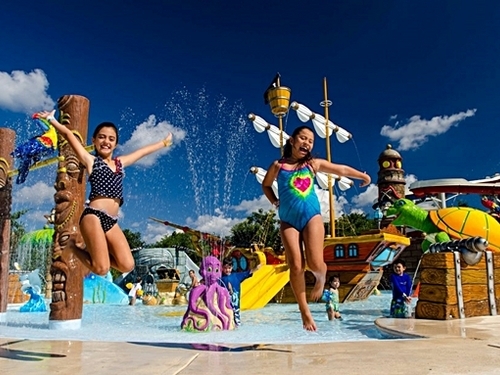 All children under 12 years and all visitors who cannot swim must be accompanied and supervised by his/her parent or guardian. Children under 12 years old but taller than 4ft (122 cm) must show ID for proof of age. Anyone needing a taxi with a wheelchair lift must let us now a minimum of 48 hours in advance. There is an additional $55.00 USD cost for the special taxi service payable when you check in. A. Playa Mia Beach Club is open from 09:00 AM to 05:00 PM. The optional transportation runs from 08:00 AM to 06:00 PM. A. 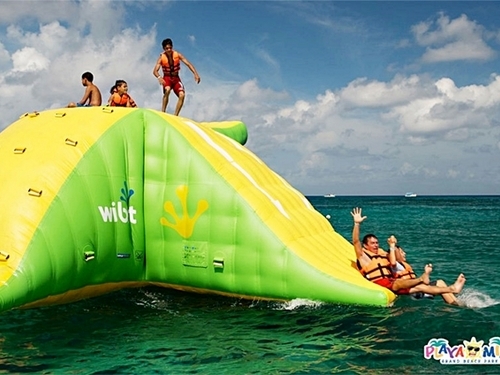 The price is $16.00 USD payable at the beach club directly. A. Lockers can be rented at $6.00 USD per locker (plus $6.00 USD key deposit). A. The buffet and restaurant are available starting at 9:00 AM and buffet is replenished throughout the day. A. The taxi ride is approximately 10-20 minutes, depending on the cruise terminal your ship arrives in. Taxis can be found outside your cruise terminal (approximate taxi cost is $18.00 USD for a cab of 4 people, per taxi). A. The max is 2,000 per day. A. There is an ala carte menu, cash bar, massages, snorkel gear, wave runners, parasailing, hair braids, etc. Prices and reservations are available onsite. Playa Mia came highly recommended so we gave it a try. This was our 3rd time to Cozumel, the first time we took the ship excursion to Tulum (soso...too long to get there and back), second time we did the Dune Buggy tour (also with Cozumel Water Sports) and this time we just wanted to relax and have activities for our kids. There were lifeguards for the ocean activities which was very appreciated, the pools were clean and safe. The buffet was ok, bar was great. The cab charged $16 to get back to the pier. I was there for the day with my children and we had a blast! So happy that I decided to get the the all inclusive with the open bar for the kids. They were thirsty all day long. Very clean, excellent service and lots of space to move around. Kids loved the water slides! 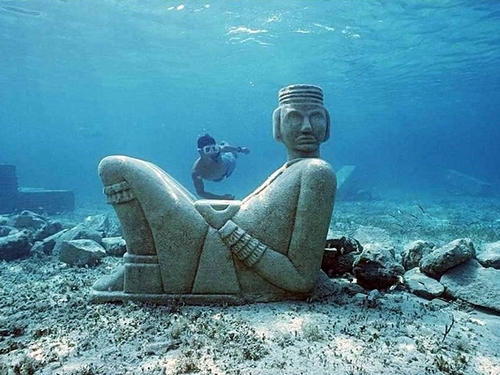 Will definitely bring family and friends when we come back to Cozumel. 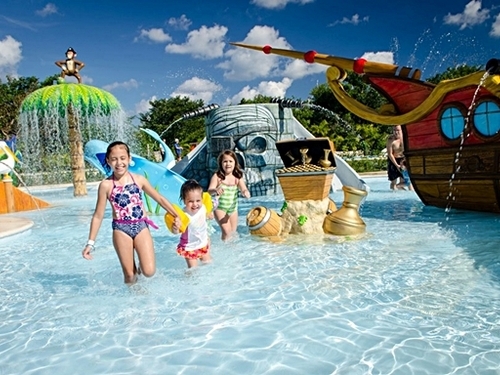 Great beach club for families w/ kids...there is so much to do!